This isn’t so much a document of a certain group of people’s lives, but a political tool, Democratic through-and-through. The Harvest/La Cosecha is another entry in the fast-growing agri-doc genre that seeks to upend naïve ideas of where your food comes from. The focus here is the dismaying fact that in America some hundreds of thousands of child migrant workers pick your produce, and it’s legal. 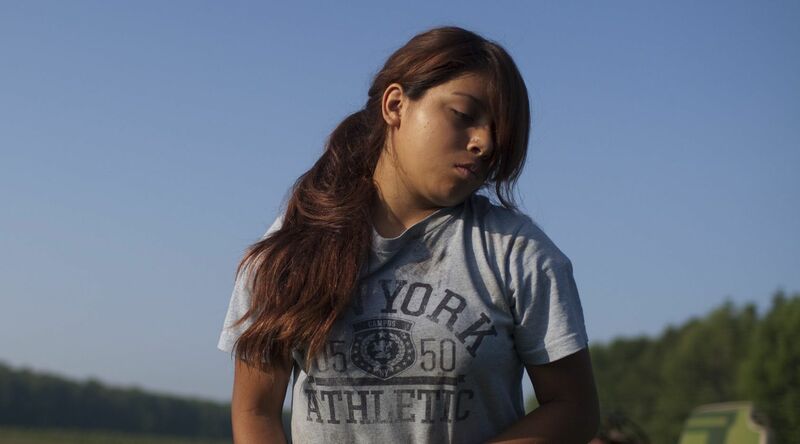 The film follows a handful of teenage workers and their families as they move around the country to find new chemical-doused fields to sweat and toil in for below-minimum wages. The fact that these children start working so early and for so much time over so many distances makes them less available to focus on school and unable to keep friends, a vicious cycle that traps them, like their parents, into migrant labor for life. This reminded me of the time I worked the night shift at a prior job and would encounter the janitor and his two sons around 10 or 11 at night as they cleaned up the office. One of the janitor’s sons was 12 and had the job of emptying each cubicle’s trashcan. They didn’t finish until around midnight, and afterward the sons were rewarded with McDonald’s soft serve, bringing them well past a decent hour on a school night. It was usually an awkward encounter because I had many of the issues on my mind that the film addresses, but there was really nothing I could say about it, even though, whether the janitor knew it or not, his life was surely suffering from his forced moonlighting. It’s a subject that doesn’t get brought up enough and that’s largely invisible to most Americans, and for that The Harvest/La Cosecha can be applauded. This isn’t so much a document of a certain group of people’s lives, but a political tool, Democratic through-and-through. The documentary is an open advertisement: There’s a link at the end credits for the film’s website and a number to text to “help change lives of child migrant workers,” and its production company, Shine Global, promises to give the film’s profits to other nonprofits that will help the children featured in the film. If issues of child labor stir you, then this movie can point you in the direction of doing something about it. Unlike The Grapes of Wrath, however, it doesn’t provide technically masterful and emotionally powerful drama on the subject. The people featured in the film are portrayed in their ragged and natural surroundings, unlike the comparatively more vibrant War/Dance, in which poor Africans are seen through the striking, kaleidoscopic colors of exoticism and unnaturally speak neatly organized dialogue—captivating the eye and ear, but sure signs of false construction by the filmmakers. If War/Dance was simply out for an Oscar, The Harvest/La Cosecha really wants to see the passage of the CARE Act, which would raise the legal age of child-farm workers from 12 to 14. That sounds more honorable.